The metal flap issued at the Wahunsenakah Summer Service weekend distracted me from posting about the activity patch issued for that event. I realized this when I consulted my friend William Weeks in East Texas about the unique varieties of ducks featured on Wahunsenakah Lodge's five 2010 activity patches. 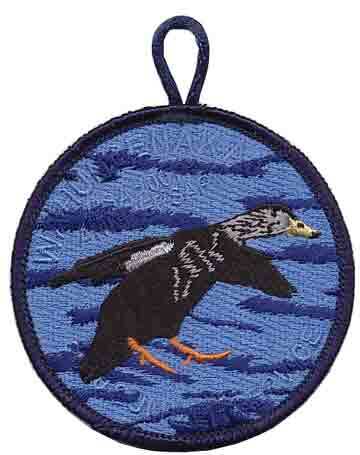 William says the duck on this patch is an American black duck.